Hanover may be known for its Civil War history and its snack food tours, but that’s not all we have to offer! There is a budding art scene in Hanover, with theater shows playing monthly, plus our very own barbershop chorus. Come meet this group of hobby singers dedicated to keeping the barbershop harmony alive! The Hanover Barbershop Chorus started in 1965, and has been happily singing along ever since. See their website for a schedule of performances. Founded in 1995, the Hanover Symphony Orchestra (HSO) is dedicated to fostering the love of music through entertainment, encouragement, and education. The group includes nearly 50 local musicians who have a passion for sharing their art. Visit their website for a schedule of events. The Eichelberger Performing Arts Center is one of the most historical buildings in Hanover. Once an academy, the stately building is now a performing arts center and has been operating as such since 1998. Local theatrical arts groups and professional musicians regularly preform at the Eichelberger as well. Visit their website for an inclusive listing of all upcoming shows and performances. Come see Hanover’s exclusive volunteer-only playhouse, the Hanover Little Theater! The Hanover Little Theater started in the 1940s and is celebrating its 70th season in the 2018-2019 year. The playhouse operates on a four-production schedule each year with tickets costing $15 per person. The Hanover Area Arts Guild started in 1968 and has since grown into a collection of over 150 artists and craftspeople. The guild offers new shows and exhibits every month, showcasing artwork crafted in oils, acrylics, watercolors, photography, pottery, fiber arts, bead-work, sculpture, glass and much more. The guild also offers art education classes to people of all ages. Menchey Music Service’s core business since 1936 has been servicing the needs of the music student. Their Hanover location is a combination retail store and school, offering both a place to shop and learn in one convenient location. 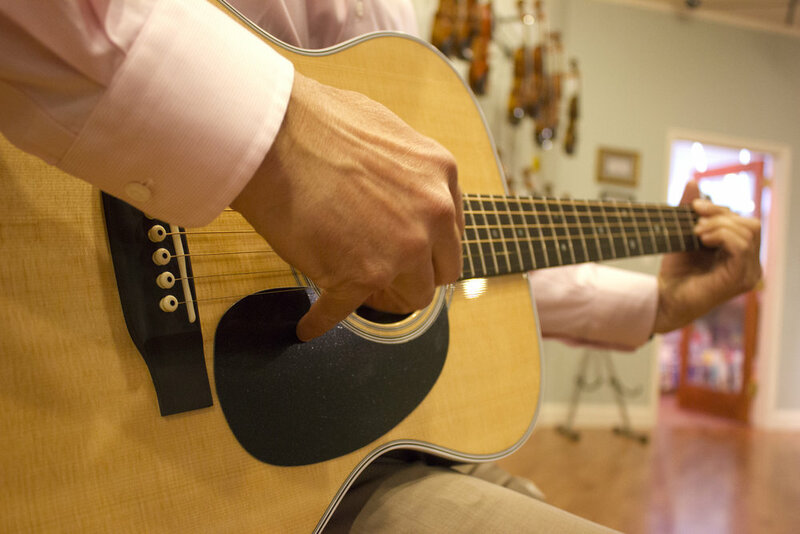 If you’re looking for a new instrument, need a repair, or want to take lessons, Menchey is the place for you. The Academy for Media Production (AMP) offers Audio Production and Photography & Video Production Programs. Their digital media production programs offer professional, hands-on experiences designed to prepare students for the rapidly changing world of digital media. Plus, AMP’s affordable tuition allows students to invest in the equipment needed for success. Pennsylvania Theatrical Arts by Brittany Stevens (PATABS) offers high-quality educational programs for students that build character through proper training, technique and skills. PATABS holds classes on vocal instruction, acting and drama, musical theatre, dance, and fitness. Learn from one of their highly-skilled instructors and build your repertoire.